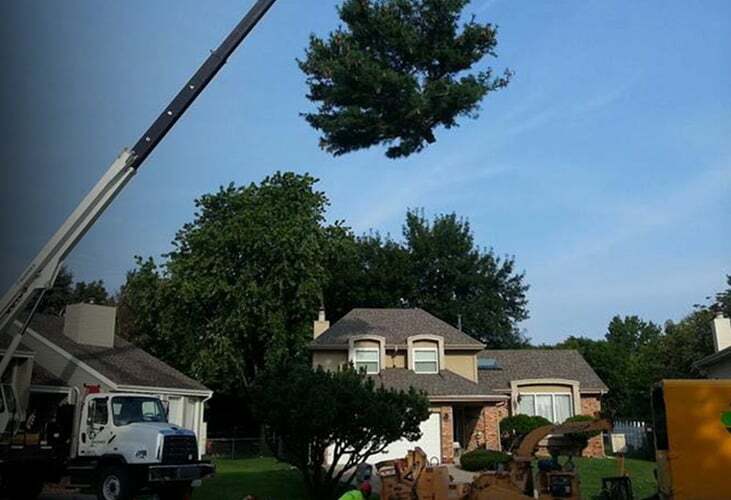 When Terry Hughes Tree Service of Omaha, NE decided to shop around for a crane that could make tree removal faster and easier, they found what they were looking for in Elliott Equipment Company’s 30105R BoomTruck. 4-section telescopic boom that extends 105 feet from a rear-mounted turret with multiple operator control station configurations. 30105R employs front and rear out and down outriggers that spread 20 feet with full- and mid-span operation. 2-speed winch with a 9,060-pound single line pull and rotation-resistant wire rope. While cutting down and removing trees from properties is difficult in its own right, it’s what surrounds a job site that makes the job even harder to do. 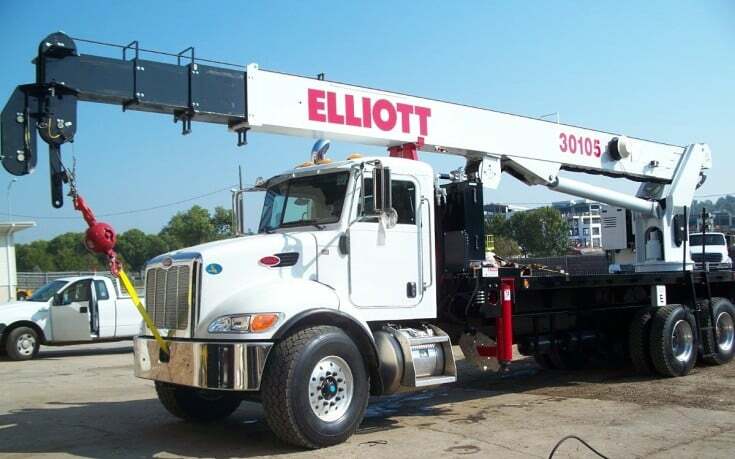 That’s why Terry Hughes came to Elliott Equipment Company in search of a crane with a longer boom and better side reach than their previous crane. The crane capacity and boom length was another huge selling point, being accurately sized to access the wide variety of private, commercial and public properties the company encounters day-to-day. With the 30105R, Terry Hughes Tree Service can lift and move larger branches with greater speed and ease. The 105-foot boom length allows operators to execute even the trickiest maneuvers, including parking the boom truck curbside and hoisting large branches or trunks out of a homeowner’s back yard, over their house and down to the street for removal. The 30105R performs so well that the company has cut its on-site time in half since purchasing the crane. That resulted in immediate savings on labor costs which can be applied to the company generating new business. 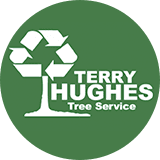 Now more competitive than ever, Terry Hughes Tree Service has earned more jobs because of the ability to submit lower bids. Terry Hughes Tree Service employees have reported their work is done faster and easier with less difficulty thanks to the Elliott 30105R. Because the crane can lift heavier loads than their previous boom truck, the company can haul more branches or trunk sections away in one lift, reducing the workload for workers on the ground. The pilot-operated, hydraulic precision controls stationed in the cab enhance crane safety and ease of work. The 30105R can also be set up on more varied terrain thanks to its out and down outriggers. Terry Hughes Tree Service saw right away that Elliott Equipment Company’s 30105R BoomTruck made their work easier, faster and more efficient. It’s also dramatically reduced labor costs, increased competitiveness and led to new business. But what’s more, the company knows their Elliott 30105R will serve them well long into the future. At Elliott, BoomTrucks now come standard with an industry-leading two-year warranty and a lifetime structural warranty. If you’re ready to enhance safety and increase efficiency, request a quote now. We’ll send you all the information you need to add an Elliott Equipment Company crane to your fleet.